Not many Internet users think about the network routers they’re using. They’re out of sight, out of mind when they’re working but cause a slew of frustrations if they ever fail. Even with the most durable and reliable hardware, issues are bound to pop up every now and again. For most issues, simply resetting the router (unplugging it, waiting a few seconds, and plugging it back in) works well enough, but if your equipment is being stubborn, there are plenty of other parts to check. As wireless technology progresses, networking equipment ends up needing to support various transmission standards. Juniper routers are among those with support for newer modes for higher bandwidth and older ones for backward compatibility since both the client and the router must support the same standard. For instance, if your desktop can only support the 802.11g network mode, it would not work with a Juniper router set to 802.11ac mode necessarily. Whether you’re using g, ac, b, n, or any other setting, ensure both machines agree on the same one. If in doubt, use the “mixed” mode if your router supports it. There’s also the separate setting radio bands. Most routers can transmit either a 2.4 GHz or a 5 GHz signal. While one isn’t inherently faster than the other in most cases, many other devices use the 2.4 GHz band. Switching to the 5 GHz band on your router can reduce the possibility of interference. Keep in mind that the device you’re connecting to the network must support 5G as well. Generally, routers will separate the bands into two separate Wi-Fi networks, with “5G” added to the end of one option. And next, you have MAC addresses. Some administrators set the router to only connect devices with certain MAC addresses, so if your brand new laptop can’t connect, add the device’s MAC address to the whitelist. You can also disable MAC filtering entirely through the router settings. Where you place your router can have a large impact on your signal strength. In addition to plain distance, metal objects, microwaves, and cordless phones can interfere with the signal. Consider these factors when you decide where to place it. Also, position the antennas vertically rather than horizontally to optimize signal spread. Otherwise, it’s time to go shopping. If you’re searching for networking solutions for your business in the Toronto or GTA, contact Network IT. 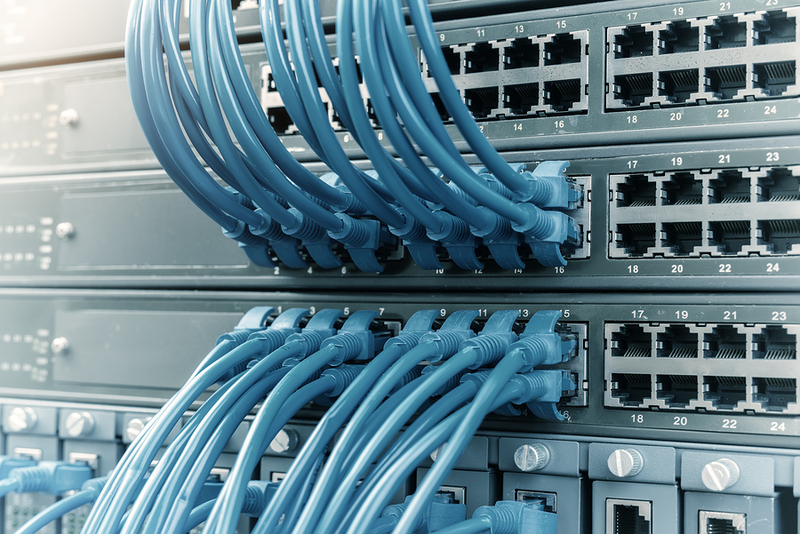 Our services will provide you with the most cost-effective and reliable parts, from Juniper switches and routers to components from HP and Dell among other top-selling brands. Routers are an essential part of business networking but can be difficult to troubleshoot. Check your router’s configuration, placement, and cables if you suffer from disconnections. Network IT is your one-stop solution for business networking, from part sourcing to professional maintenance.